My Lenten Love Links idea all started with my 6 year old asking me a few days ago, "When is Easter Mom?" and then I came across the 40 Acts of Lenten Love for Children from Homeschool with Love that I pinned to my Lent Pinterest board. I loved the ideas on how children (and adults) can show love in Lent for the 40 days (the Lent "count" does not include Sundays) in Lent and I wanted a way for my children to count down until Easter Sunday. So I combined the two ideas into one. I just printed out the 40 Acts of Lenten Love for Children pages that can be found HERE and used a glue stick to glue them to purple (liturgical color for the season of Lent) print paper that I had in our art closet. I then cut each Day into strips and wrapped them in a circle to form a link and taped the ends and added the links together. The fourth Sunday in Lent is called "Laetare Sunday" since we are almost there to celebrate Easter Sunday when we can once again sing "Alleluia!" and "Rejoice, He is Risen!" So for this link I glued Day 22 (which included Sunday as a day of rest and prayer) on bright pink paper since pink/rose vestments are worn by the priest on this special Sunday as a way to alert us that Easter will be here soon! The last link (hooked to our door knob) is white for it will be when Easter is finally here and we can rejoice in the love of Christ! I wanted to add a few more Lenten traditions to the ones we already have in our family and I think this will be a fun way to do something meaningful each day in Lent and count down to Easter Sunday too! I'm linking this post to "Keep Love in Lent Link Up"
Great job, Tracy! And thanks for that link-love last week. Wishing you a fruitful lenten journey!! Hi Patty! I hope you had a lovely "Fat Tuesday" birthday! May you have a fruitful Lent as well! I love this idea! There's a Lenten link-up on my blog that you are more than welcome to share any Lent related posts (like this one) on. New Link up each Sunday. Thanks Laura for your visit, comment and link-up invite! Will be going over to link up now! Have a blessed Lent! Thanks for your comment and link-up invite! I will be linking up now! Have a fruitful lent! This is a great craft idea. I would like to do it with my grandkids. I am new follower coming to your blog for the link-up. Will b e following from now on! Have a great week! God bless you! I'm glad you enjoyed the post and idea! I hope your Lent will be fruitful with the links with your grandchildren! God bless and thanks for following! I am a first-time visitor to your blog from the Keep Love in Lent Link-up! I really like your Lenten Love Links! My children enjoy making those types of chains for Advent, but I've never thought of doing it for Lent. Great idea!! Plus, the little acts of love are sweet and doable, yet meaningful! I am definitely going to Pin this idea on my Lent board on Pinterest, too! I also clicked over to see what some of your other Lenten traditions are. We do some similar things, such as the sacrifice beans, Holy Heroes, Stations, and this year we will read "Amon's Adventure." God bless you and your family during this holy season of Lent! It's always fun to see new faces and comments in blog land! Thanks so much for stopping in and commenting! 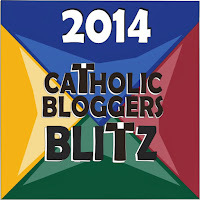 I visited your lovely corner of blog land and left a comment on your wonderful Lent post! May you have a fruitful and blessed Lent! Hello Tracy! I was directed here by the Keep Love in Lent Link-up. :o) What a great idea to count down to lent!! We have created links like this for Christmas but never with words inside. Love it! May you have a holy and love-filled lent! These are such a great idea!! Many military families are familiar with the use of links to help small children conceptualize a deployment length for a parent. I love the idea to use them for something such as Lent, too! Awesome! First, thank you "Beautiful Camouflaged Mess" for your service and sacrifices! I'm glad my post has given you another meaningful way to use links to anticipate a joyous occasion like a deployment reunion! God bless and may your Lent and family be blessed!